The iPad Pro has launched late last year and the company’s Smart Keyboard Folio cases alongside them. 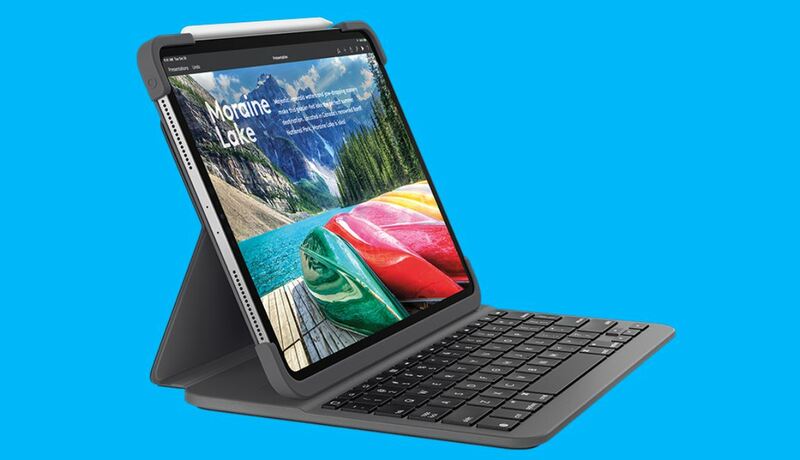 Now, Logitech has announced its first-ever ‘Slim Folio Pro’ keyboard case for the new iPad Pro models. Logitech’s new keyboard case is a perfect alternative to Apple’s solution. There are a couple of features that Logitech’s model supports like the dedicated row of iOS shortcut keys. In addition, it also sports a built-in strap which will keep the new Apple Pencil secure while it is being charged magnetically. Let’s dive in to see some more details on the new accessory from Logitech. While the intended purpose of the Logitech Slim Folio Pro is similar to that of Apple’s accessory, it does use a different method of pairing. 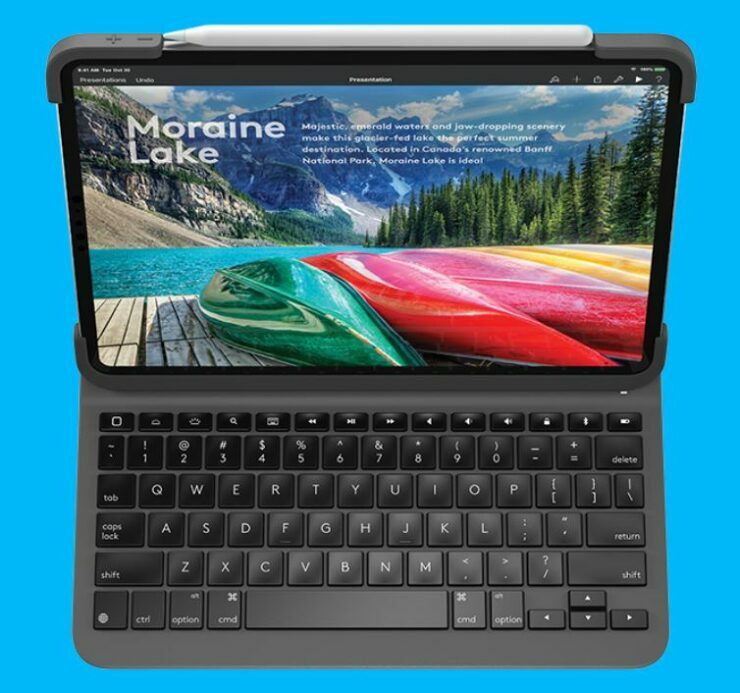 Apple’s Smart Keyboard Folio connects to the iPad Pro via the Smart Connector and the Slim Folio Pro connects through Bluetooth LE. 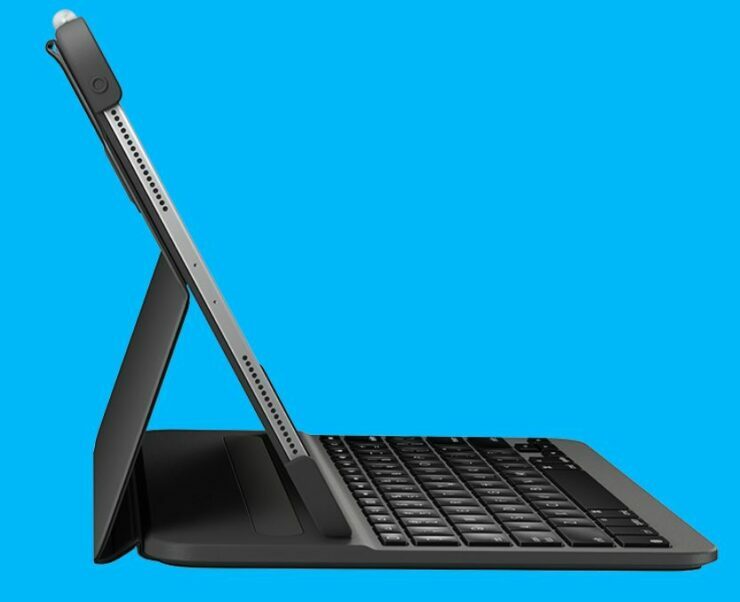 This means that the Slim Folio Pro from Logitech will be charged separately and would not receive power through the iPad Pro. However, you can always connect the keyboard to the iPad Pro via the USB-C cable. According to Logitech, the Slim Folio Pro will deliver a battery life of three months in a single charge if you use it for 2 hours per day. This is different than the company’s previous Slim Folio model which included a replaceable coin battery. When you slid the keyboard into typing mode, it will turn on automatically and connect to your iPad. The Slim Folio Pro is available for the 11-inch iPad Pro at a price of $119.99 as well as the 12.9-inch iPad Pro coming in at$129.99. The prices are a fair bit less than that of Apple’s first-party option. There will be more to the story, so be sure to stay tuned in for more details on the matter. As for now, what do you think about the new Logitech Slim Folio Pro? Are you interested in giving it a go? Let us know in the comments section below.